Larry is the founder and Chairman Emeritus of Foster Financial Group. In a successful career that has spanned over fifty years, Larry has made it his mission to give back to his colleagues in the financial services industry and his community. Time and time again, he has reached out a helping hand to friends and strangers who soon became friends. Larry began his insurance and financial services career in 1963. He served as president of the Dallas and State General Agents and Managers Association (SWGAMA) from 1978 to 1982. In 1994, SWGAMA presented Larry with the Trail Boss Award, created to recognize individuals who have served “above and beyond the call of duty.” Nominees are those who have made outstanding contributions to the agency system of marketing life insurance as evidenced by their performance as leaders in agency-building activities and community affairs. It is the highest honor SWGAMA can bestow on one of its own. Larry has received numerous other insurance industry awards including the American Salesmaster Oscar of the Year in 1969 for outstanding sales and agency building. Foster was the featured speaker on the Texas Sales Caravan in 1983, entitling him to induction into TALU’s distinguished Amalgamated Order of Trained Seals. In addition to founding Foster Financial Group, Larry is cofounder, partner and Chairman of the Foster-Cary Corporation, Planned Benefits, Inc., Foster-Cary Agency, Inc., Foster Commercial, Inc., and Foster-Cary Financial Planners, Inc. He was organizing director of Signature Bank and an early organizer of Cornerstone Bank. Larry was a member of the Board of Directors of the School of Insurance and Financial Services at the University of Houston and a board member of the Texas Cradle Society, (an adoption agency). 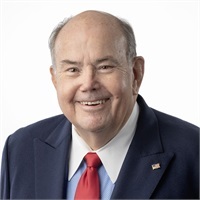 He was a longtime member of the Rotary Club of Dallas, the Greater Dallas Crime Commission, Greater Dallas Chamber, and The National Speakers Association.